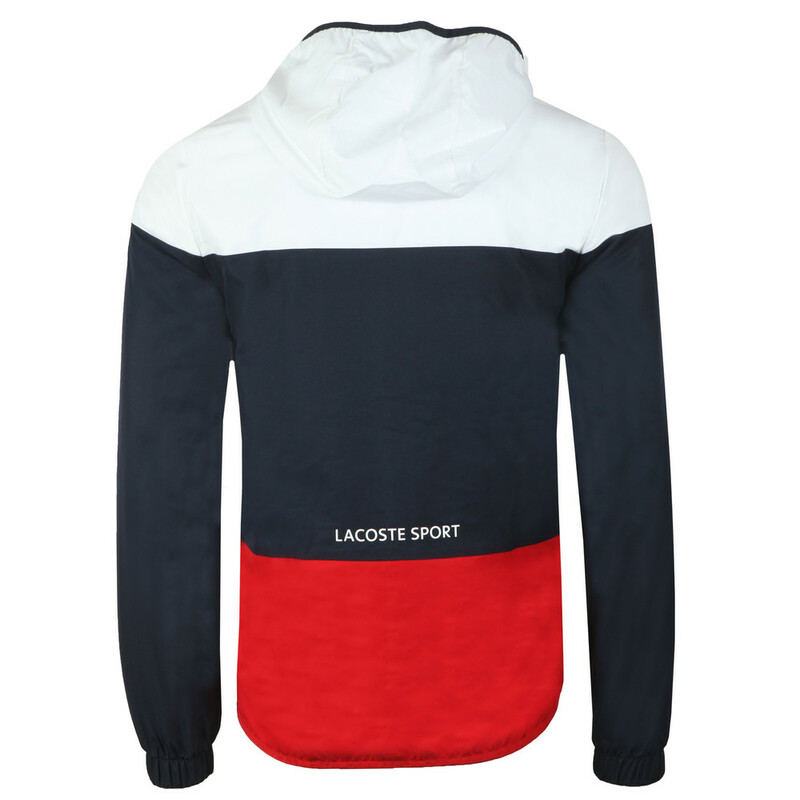 Lacoste Sport BH3588 Jacket in Blanc Bleu Marine. 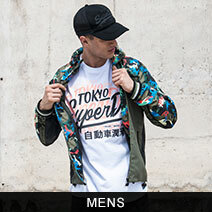 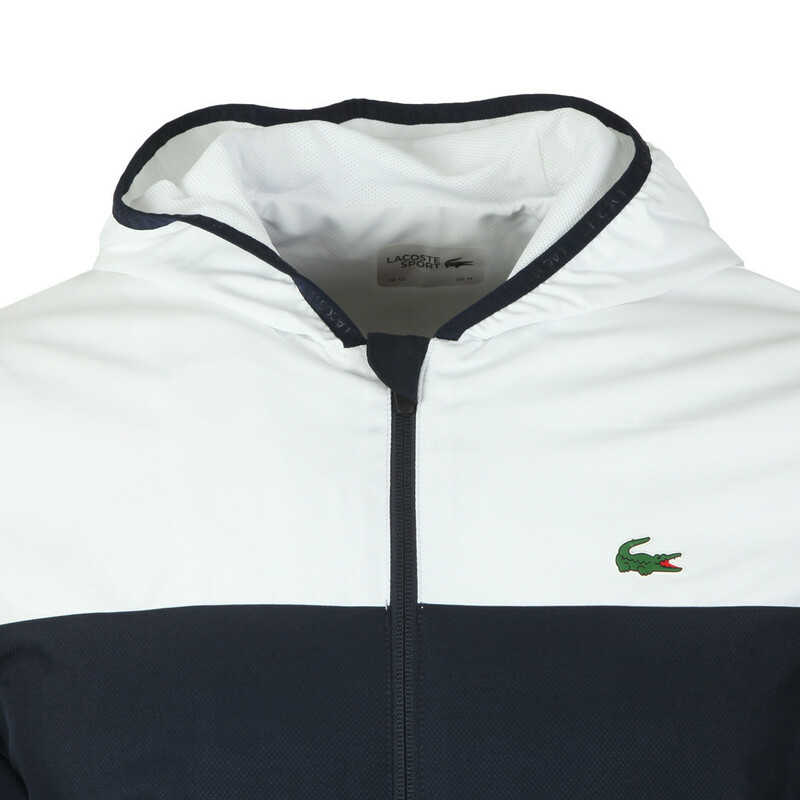 A lightweight summer jacket featuring a colour block design. 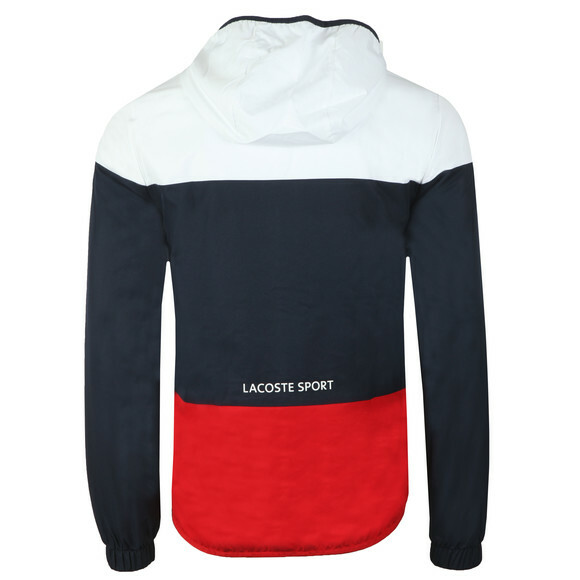 The cuffs are elasticated and the hem and hood have branded seams. Zip Open pockets sit on the waist. 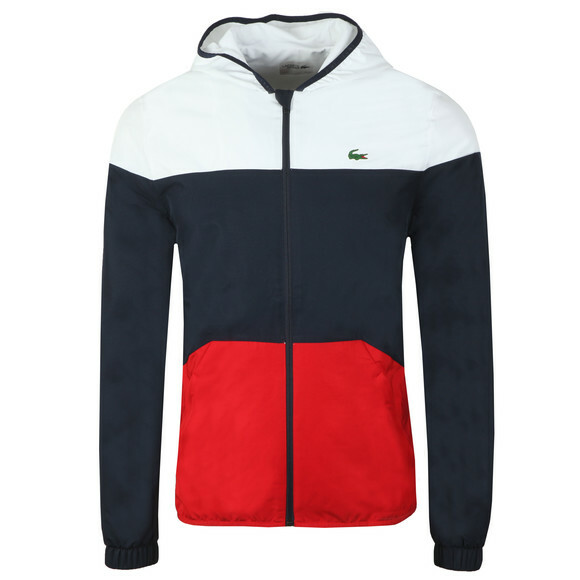 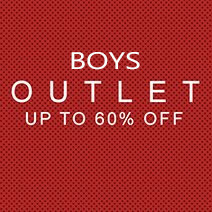 A rubberised Lacoste logo is added to the back and a crocodile logo can be foudn on the chest.